We knew you were ready, Los Angeles. Grip The Mat's first yoga social event Vinyasa to Vino was in a basement art gallery in Washington, DC. Less than two years later, Grip The Mat has introduced the signature series Our Vinyasa to Vino to Los Angeles. 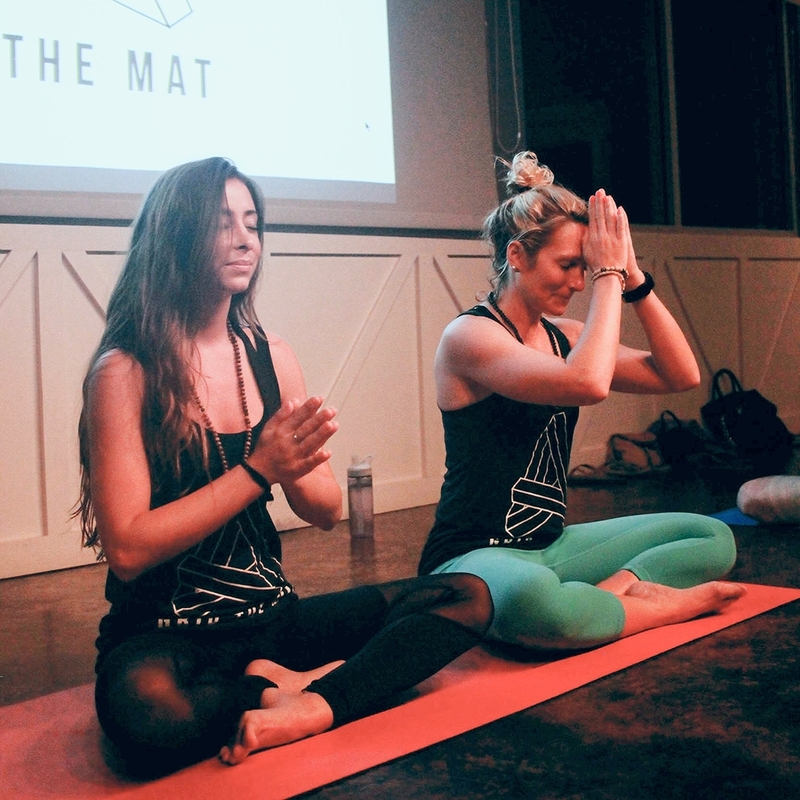 We hosted our first ever yoga wine event in a basement art gallery, neutral territory for yogis and winos alike. 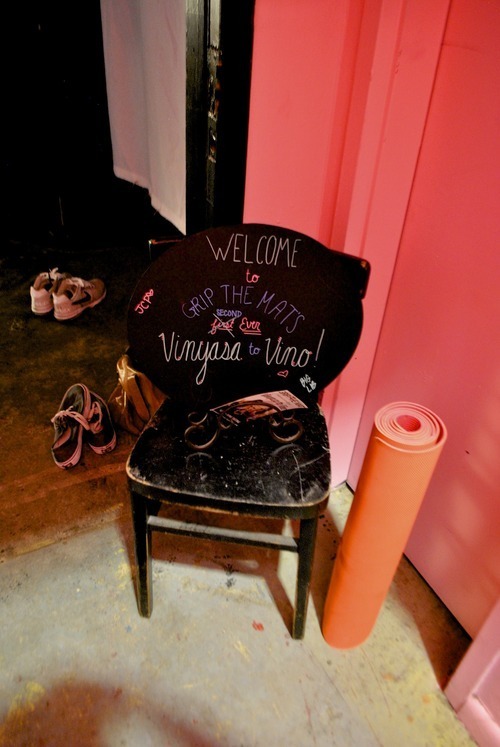 To keep the theme alive and the juju right, we launched Vinyasa to Vino in a stunning gallery - C.A.V.E. - off Abbot Kinney in Los Angeles. Live trumpet music by Ryan Svendsen filled the gallery for a tingling awakening of the senses. The spirits were high as everyone warmed up and they even broke the ice with a few partner postures! After a heating vinyasa flow and a series of peak poses, it was time to wind down. Ariadne then lead the class through restorative asanas and into a dreamlike Savasana. What came next was, of course, the wine. A tasting by ONEHOPE wines and treats by Beaming nourished our yogis. Another surprise raffle by Sweaty Betty and Alternative Apparel helped a few of our attendees wardrobe and everyone walked home with a swag bag filled with goodies by our local partners. 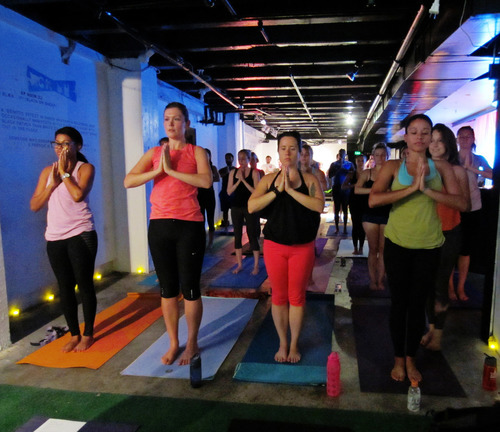 After the last attendee left the gallery, the verdict was clear: more Vinyasa to Vino in LA! Cheers & Namaste, sweet yogis. We can't wait to see you soon at the next Grip The Mat event. Uh, hi, why haven't we done this sooner? Forget the lavender. Coffee is our new aroma therapy! Last week, 70 yogis joined us at Compass Coffee for Vinyasa to Vino. After the espresso machines were wiped down and any stray beans that managed to escape their state of the art roaster were swept away, the room still filled with the comforting scent of fresh ground coffee. One hour of sweat dripping yoga left us perfectly prepped for a refreshing wine tasting by Cashion's Eat Place. The sparkling white was a perfect post sweat swip. Both Compass and Cashion's are committed to making "really good" products. To learn more, be sure to stop in or check out their menus.